"Apologies for not responding directly, but I'm receiving the question you're asking everyday for years, and I'm kinda alone on developing the game, so I don't have much time for it. Instead of re-explaining the same thing each time, here's a detailled, pre-written answer"
Any version older than 2.5.0 version will not work with 2.0.5 version or in between. Whereas it's usually automatic, you must, in this case, uninstall the older version through the configuration panel. Since version 3.6.X, the game is released in cycle that can be downloaded through Kolossus Launcher. And standalone versions are made available by the end of the cycle. You can choose a lower resolution at the game's initialization (from 3.0.0 version) and be sure that all other applications are closed. Displaying that much pictures and animations has a cost, and the constant addition make them more heavy every time. Also from 3.0.0 version, the game has more weight, but is also much more optimized for graphical cards, and is proportionally much faster than before. Oh, and don't forget to read the news! If you don't find more exact data, it's because I don't have any to give. Be patient and no need to ask personaly for them. Rule #1: When I DO know a release date, I publish it everywhere so that not each of the 20000 user comes and asks me that question. So if you don't find the EXACT release date (delayed or not), it's likely that I haven't any to give yet. Read the the first lines of the said changelog... If you really wanted to translated it, better reading it first no? Plus, people would still bother me telling me that If I could add that, I could add battle, not understanding that it's a enormous amount of work I cannot and don't want to do either. No, It would be too long to do it, and too complicated. And this isn't the goal of IFSCL, its goal is to be as close as possible to the original interface, not to do something customizable. Doing so would make the game much more complex than what it already is. Same answer as above although a ranking system might be added in the end of the development. No, these game features consume way too much animations and effects for a smartphone. Moreover it's the simulation of a supercomputer that is manipulated for 50% on keyboard, not of a small cellphone. No companion-app planned is planned either. No. My goal for IFSCL is to stay true to the original show's canon. (Including the story mode). 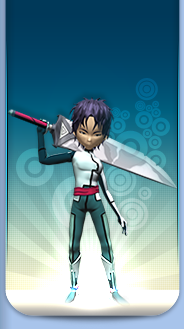 CLE is official but clearly not part of Code Lyoko's canon. I (Immu) am perfectionist on my project, and while it's impossible to answer with precision, current plans goes up to 2020-2021. II.9.Is the game or some parts of it (3D...) going to be open-sourced? It's not planned to have the full game released as opensource, because property libraries are used and can't be shared without buying them. For the 3D models, it's a possibility, but you will have to wait for the end of the game's development for that. III.1.What programs are used for IFSCL? Unity3D, Cinema 4D, Photoshop, After Effects, Animate. If you want to learn how to use them, the creator of the game suggests you do like him, search by yourself on the Internet, use google, you will figure it out ! And be patient and determined, because it will take you years to understand everything! You can also see the IFSCL Inside on the official playlist to get a look of the work that is done. Yes, because it allows him to work better and faster for organization and motivation. But I do have the help of beta testers and translators. You can discover this in greater detail on the author page. If you want to contact me about IFSCL, make sure the answer to your question isn't on one of these pages. If it's not, use the ask page or the IFSCL topic on the forum (better), or his private messaging system on the forum. This is explained on the presentation page about IFSCL's origins. -add the number of the IFSCL version in the title. III.8.Since when has IFSCL existed ? Everything is detailled in the download page. III.9.Where to find the latest news about IFSCL ? The news page is the most up to date, generally with the facebook page or the forum right after. You can signal them on the forum or Immu private message system. Thanks to only send those errors regarding the LASTEST version of the IFSCL and two months max after the release. Otherwise It won't be of any help. You can also signal them on the Discord. Please also check the versions page that this error hasn't been fixed/reported yet. IV.1. Where can I download them ? They aren't available for download as many of them contain major bugs and security failures. But Immu will certainly do an anniversary video of all the older versions one day. Therefore, best not to put them up for download. You can go to the medias page to find videos and pictures from these versions. There's also the download page, that countains some of the older versions with details. It's the game engine up to the 2.5.0 version. From 2.6.2 version, the IFSCL runs on Unity (partially), then completely from 3.0.0 version. It's no more needed to install Adobe Air. An older website that contains Immu's creations, with the IFSCL official page. 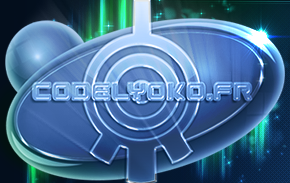 Since then, everything has moved to codelyoko.fr/ifscl, and to www.alexisfoletto.com for the rest of his work.